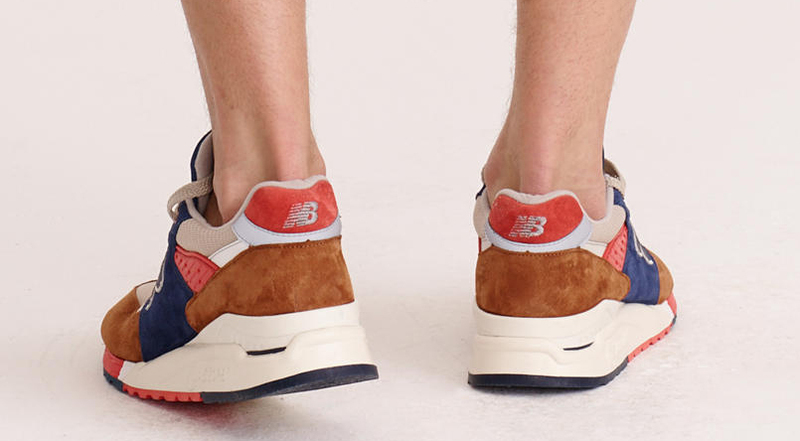 J.Crew has put forth a great effort when it comes to cross branding and collaborating on footwear. 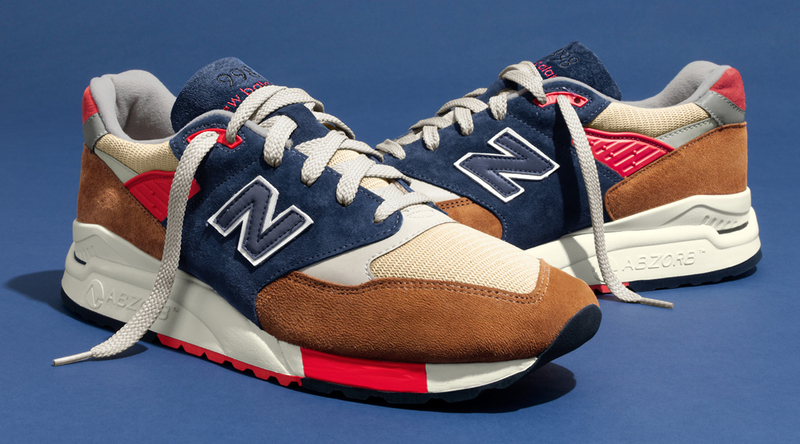 One of their favorite partners has been Boston's New Balance and it seems like they may be dropping one of their best works to date. 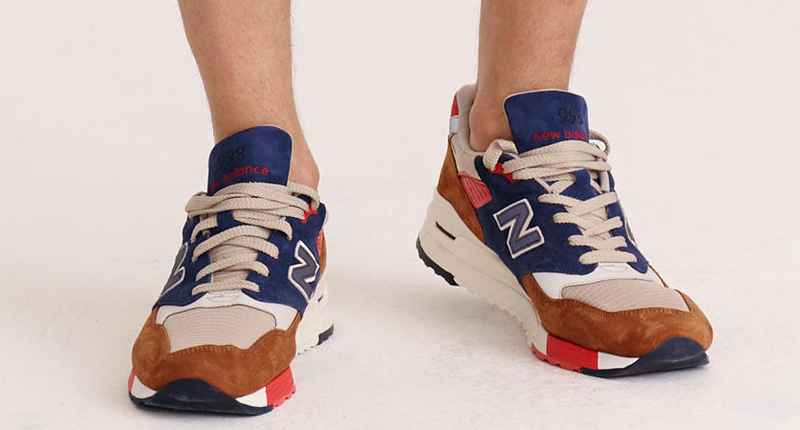 The chosen model was the wildly popular New Balance 998 (which they used as their most recent canvas as well) and its been given a touch of good ole "Americana" with a hit of the summer sands and woods. The caramel brown suede hell and forefoot/toe mixes well with the blue suede on the upper while the beige canvas and red hits sprinkled throughout the upper and tongue make for plenty of eye catching details. A bit of grey is splashed around the upper as well as the laces and lining, bringing a bit neutrality to the shoe. An eggshell midsole gives way to a red/navy outsole, closing things up in a patriotic way that will make for a sure fire, if not slept on, classic summer staple.